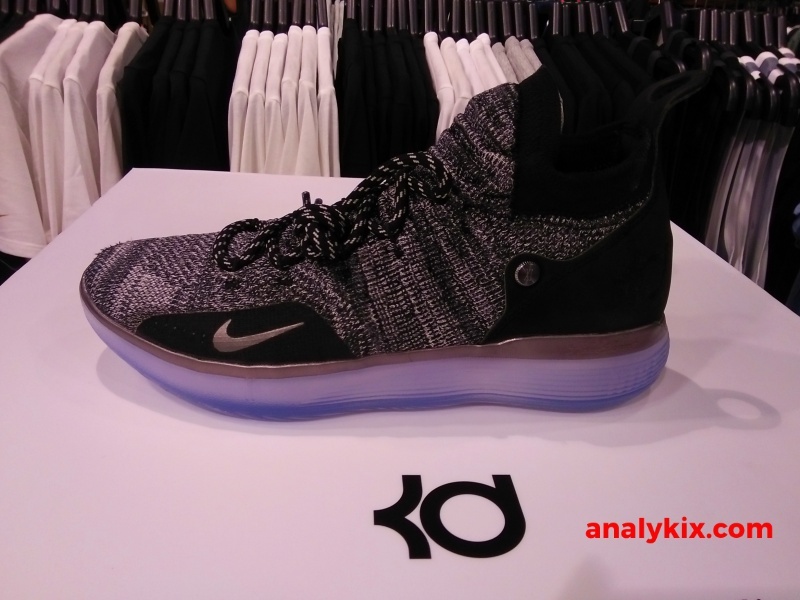 Here are in-store images of the Nike KD 11 that I spotted at Nike Park in Trinoma. 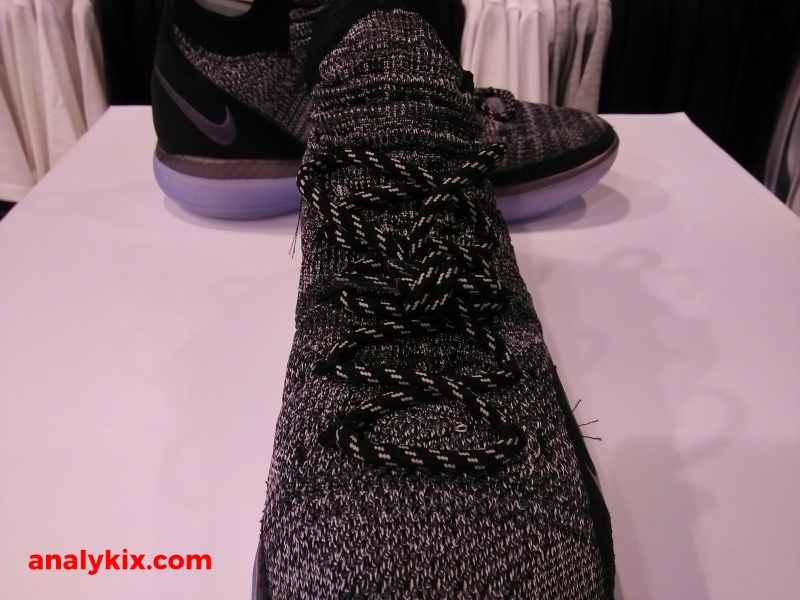 The knit upper isn't overly stretchy for the most part which is good since you need to have a supportive upper especially with light materials like textiles. 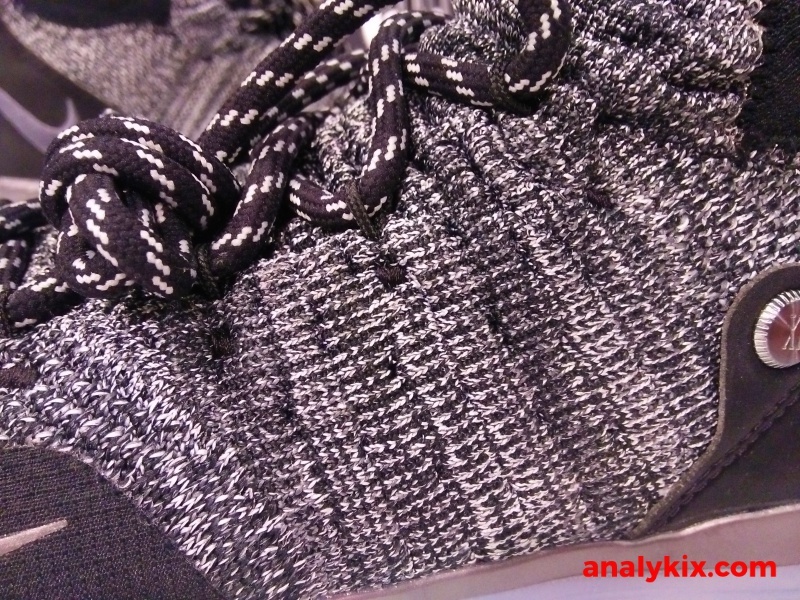 However, the ankle area has a some give for some access when you wear them. 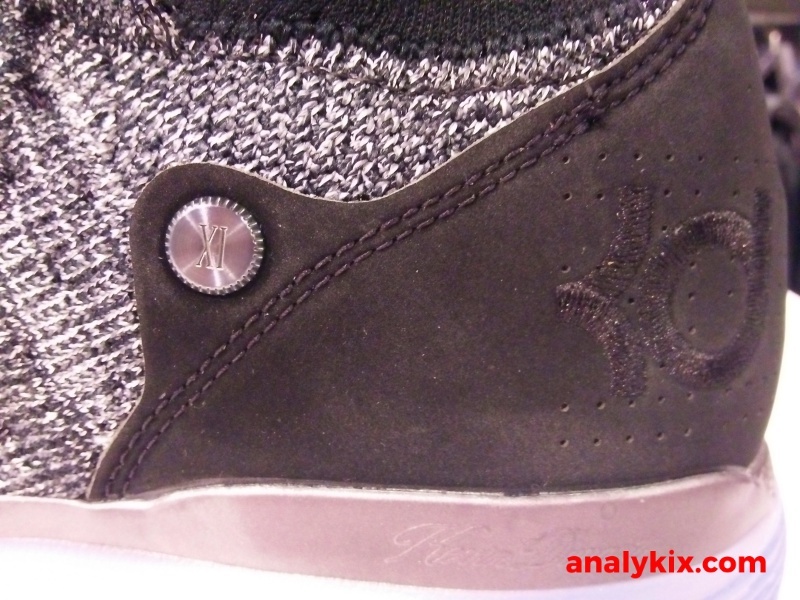 There are suede like panels on the heel area which also acts as an external heel counter to reinforce the heel area lessening instability issues. 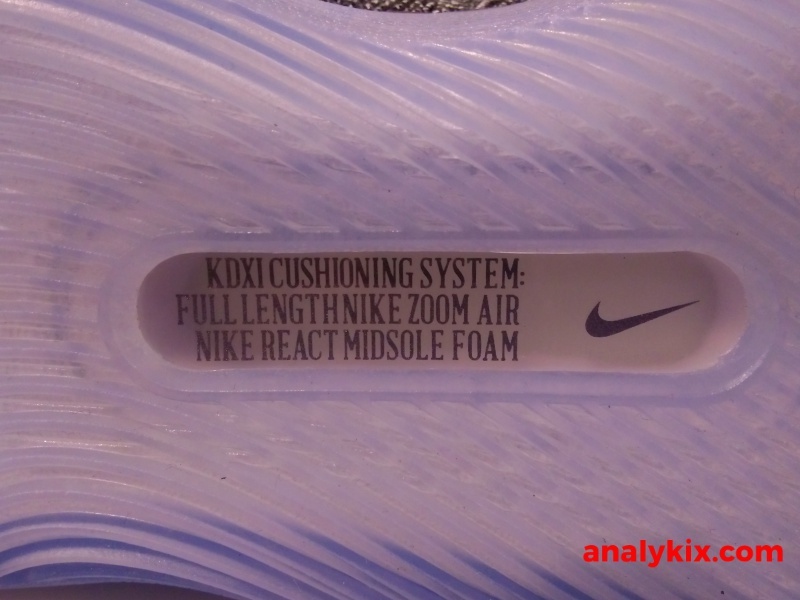 The midsole is composed of a full-length Zoom Air unit with React foam that act as a carrier. 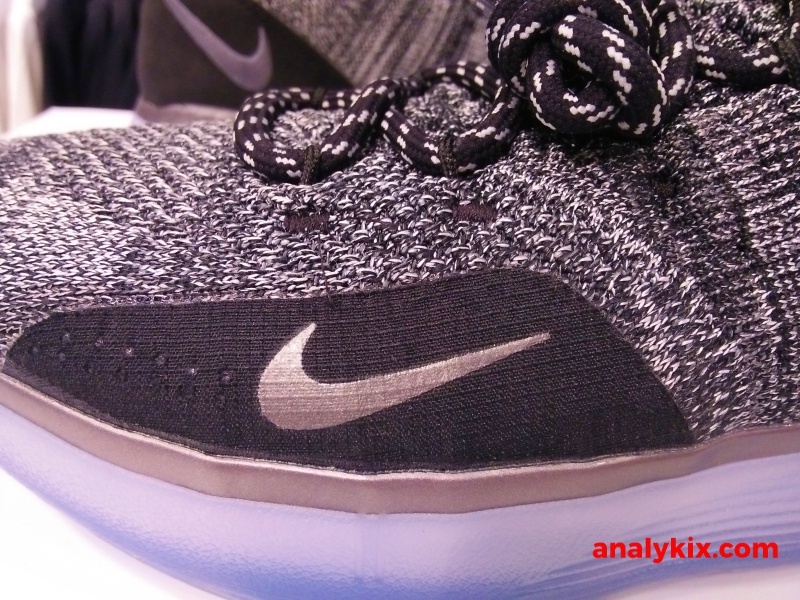 The React foam substitute the usual Phylon foam that Nike uses in most of their basketball models so it looks like React foam is here to stay and I'm sure in the future different versions of React foam will be used in different cushion setups. 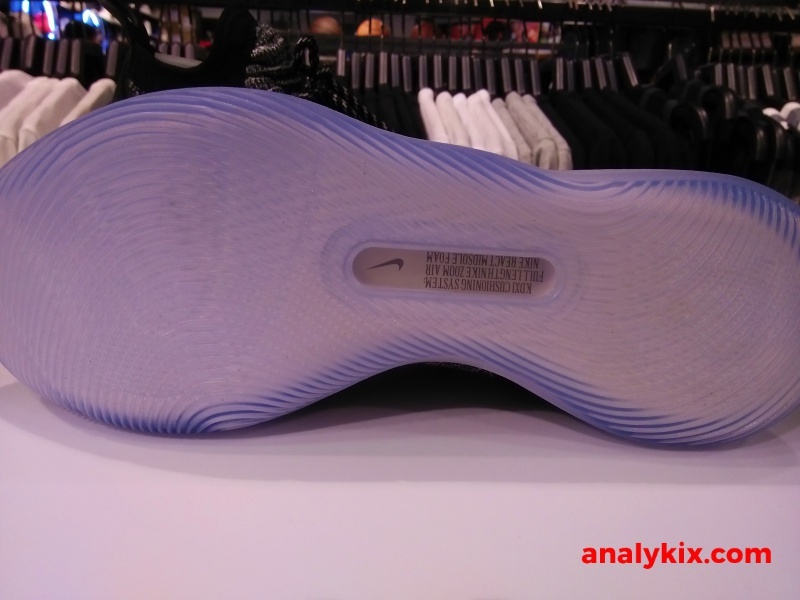 The translucent cup sole with a wavy traction pattern is not usual in Nike's performance models and personally do not have any experience with it in terms of playing them. The shoe retails for Php 7,645 and while the colorway is pretty neutral, I am not yet completely sold on the appeal of this colorway so I'll just wait for more colorways to drop in the coming months. 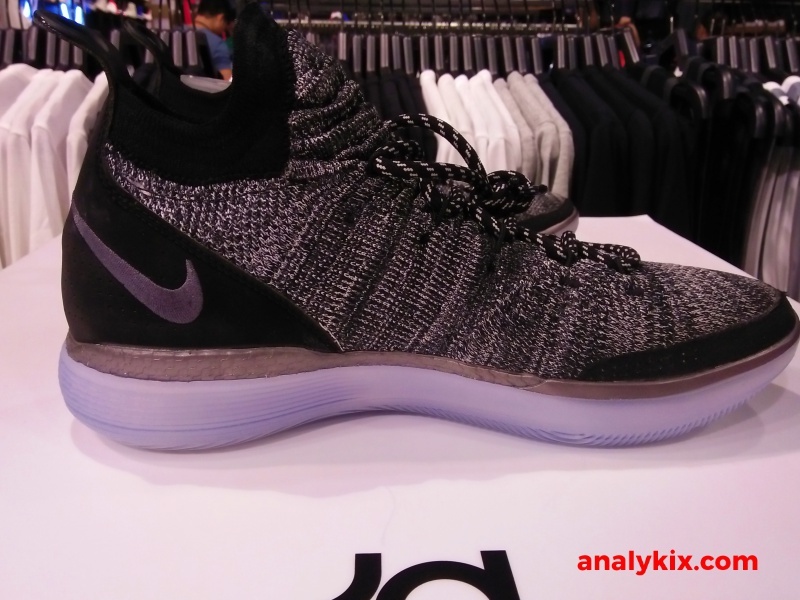 Have you copped a pair of KD 11? Do you like them? What can you say on the React foam used in this setup? Type away your experience below and let your feedbacks be heard.